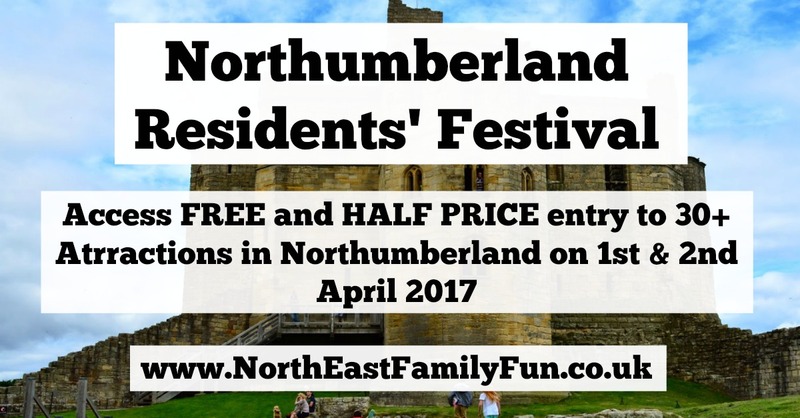 Northumberland Residents' Festival is a chance for those of us who live in Northumberland to enjoy some of the award winning attractions on our doorstep for free or at a reduced cost. It is only open to people who live in Northumberland and takes place on 1st & 2nd April this year. On arrival at your chosen attraction you should hand over one completed voucher per party to gain the offer valid at that particular venue. Details of the offers relating to each individual venue can be found under each attraction description in this brochure. Vouchers cannot be used in conjunction with any other offers at participating venues. Please note that some attractions may have car parking charges or special exhibitions which may not be included in the Festival weekend offer. Vouchers can only be used at the participating venues listed during the Festival weekend 1st and 2nd April 2017. Join in with Spring Crafts and a special Easter trail at Alnwick Garden. Don't miss the Garden of Fairytales too (check out our video below). Bamburgh Castle is world famous and one of the best Castles in the North East to explore (especially on a rainy day as there's lots to see indoors as well as outdoors). Check out our (old) review of Bamburgh Castle here. 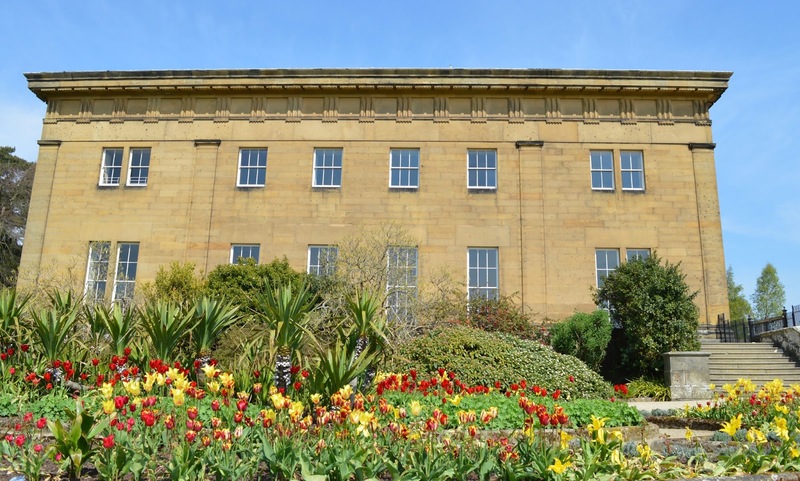 Belsay Hall is gorgeous in Spring - the grounds are wonderful for a lovely stroll and there are lots of nooks and crannies for the kids to explore. Check out our post featuring a stroll around the gardens last year here. Chester's Roman Fort is one of our favourite parts of Hadrian's Wall. There are lots of ruins to explore, magnificent river side views, a bath house, a museum, a tea room and lots of spots to stop for a picnic. Read all about our visit to Chesters Roman For here. Our love for Dunstanburgh Castle is well documented. 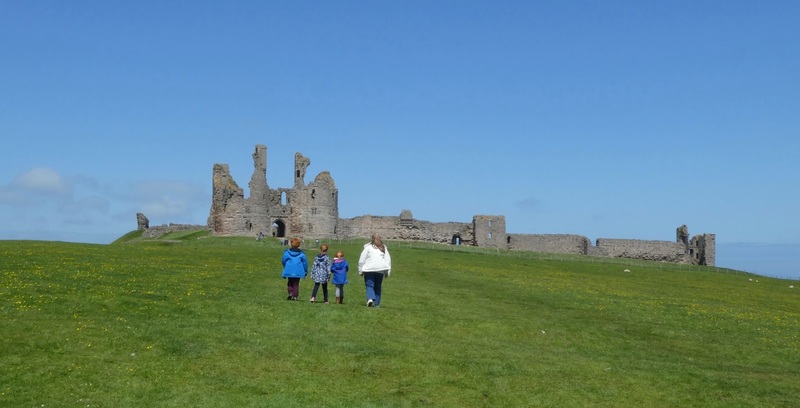 We love nothing better than parking the car at Craster and walking the mile or so along the coast to the castle. It's a nice castle to walk around and you'll spot lots of wildlife too. FREE parking at Kielder Water & Forest Park (simply display your completed voucher on your car dashboard). This is the perfect opportunity to try the brand new Gruffalo spotter app along Kielder's Gruffalo trail (see Sprog on the Tyne's fab review here). Our children love visiting Kirkley Hall Zoological Gardens. There's a good mix of indoor and outdoor fun and lots of chances to meet and greet a wide variety of animals. If the weather takes a turn for the worse, Vue Cramlington are offering up to 50% off standard cinema tickets across the weekend. I love a cinema bargain! Wallington Hall is a fab place to visit and it's the sort of place you can spend all day. With a picnic area, indoor hall to explore, walled garden, den building area, 3 fantastic play parks and a lakeside walk and lots of wildlife, you'll be spoilt for choice when it comes to things to do. Check out our review from last year here. Warkworth Castle is fantastic and hopefully at this time of year it should be surrounded by beautiful daffodils. Climb right to the tops for fantastic views of the Northumberland coastline. Here's our review from a trip to Warkworth Castle back in 2014. We love Whitehouse Farm and again, it's a place you can spend all day. There's lots of indoor and outdoor fun to enjoy from soft play to trampolines, go karts and sandpits oh and lots of animals too! We're heading to Whitehouse Farm at the end of April for Heidi's birthday and can't wait. Check out Life in Geordieland's review of Whitehouse Farm here. Woodhorn near Ashington is hosting a special exhibition at the moment featuring LEGO and dinosaurs. If you want to see this exhibition, a trip this weekend will save you money. Check out this review of the exhibition from My Boys Club. Phew that's quite a list! and it doesn't feature every place taking part. Check out this brochure for the full list and don't forget to download, print & complete your vouchers and take proof or residence with you. Where do you fancy visiting for Residents' Festival 2017? Ohh fab! I think we are planning to go to Alnwick Garden...It's been ages since we were last there.